I have been generally pleased with the recently instituted concept of established acts touring behind a “classic” album has taken hold. (Somewhere The Strokes are de-tuning their guitars for their This is It tour). Many such feature-album type shows caught over the years include notable TSOI favs such as Echo and the Bunnymen, Wedding Present, The Cure, Joy Division (via Peter Hook). Brian Wilson started this phenomenon when he trotted out the fabled Smile album in 2004, some 30+ years after he shelved the most infamous album never released. I suspect that you will find that the recent rash of “classic” album tours can be traced to Wilson’s Smile tour and his follow-up Pet Sounds tour. 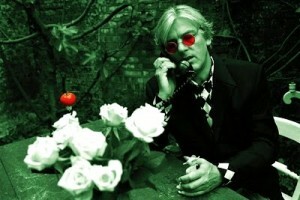 Here is a notable track from the ever-cool Robyn Hitchcock‘s generally most revered album, Eye which he played in its entirety to an enraptured crowd in Gowanus Brooklyn in 2011. A sampling of Robyn’s inimitable banter included, natch.